September 2016 Employee of the Month! Your Employment Solutions understands that the staffing business is the people business. YES we want to help people find good jobs in Utah! Our company mission is to match the right person to the right job every time. That said, we truly appreciate and care about the people we get to meet and work with on a daily basis. We wouldn't have been voted one of the best places to work in Utah if not for our hard-working and incredible co-workers and employees! Jessica was awarded a thank-you certificate and YES t-shirt for her great work. Thanks again Jessica for being a part of the hard-working Logan, Utah staffing team at Your Employment Solutions! We asked Kevin to answer a few questions about YES. Here's what he told us. 2. Whats been your favorite job through YES? So far it's been working with Orbit. It's a fun job and exciting. 3. What do you think would make YES better? I don't think anything needs to be changed at YES. 4. What would you tell someone looking into working with YES? If you are serious about a job, go to YES. Kevin was awarded a thank-you certificate and YES t-shirt for his great work. Thanks again Kevin for being a part of the hard-working Utah staffing team at Your Employment Solutions! We asked Jose to answer a few questions about YES. Here's what he told us. 1. How did you find out about YES? I don’t remember how, but Cassandra messaged me about an upcoming job before I got hired on with Snap Finance. 2. 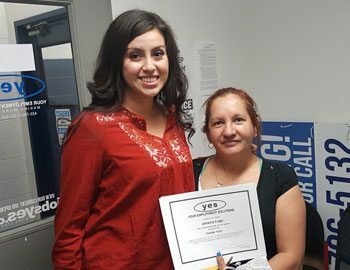 Whats been your favorite job through YES?I haven’t had much interaction unfortunately but when I was looking for a job a couple months ago, Cassandra was very prompt in providing me when another opportunity was available and I think that says Yes is commited to finding you a stable place of employment. 3. What do you think would make YES better? I think YES is amazing as it is. 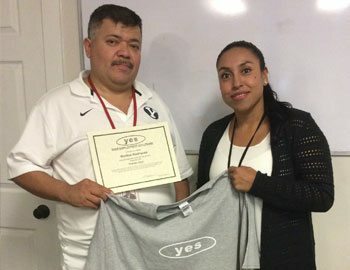 Jose was awarded a thank-you certificate and YES t-shirt for his great work. Thanks again Jose for being a part of the hard-working North Salt Lake, Utah staffing team at Your Employment Solutions! We asked Erika to answer a few questions about YES. Here's what she told us. 1. How did you find out about YES? I found out about Your Employment Solutions through a friend. 2. Whats been your favorite job through YES? Ultradent. 3. What do you think would make YES better? I don’t believe there is anything I would do, There was great communication about the job and great benefits. 4. What would you tell someone looking into working with YES? I recommend them. 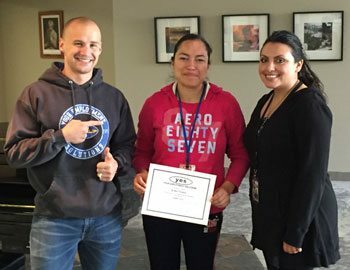 Erika was awarded a thank-you certificate and YES t-shirt for her great work. 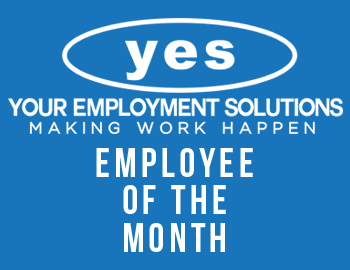 Thanks again Erika for being a part of the hard-working West Vally City, Utah staffing team at Your Employment Solutions! Wuilton was awarded a thank-you certificate and YES t-shirt for his great work. Thanks again Wuilton for being a part of the hard-working Salt Lake City, Utah staffing team at Your Employment Solutions! Jessica was awarded a thank-you certificate and YES t-shirt for her great work. 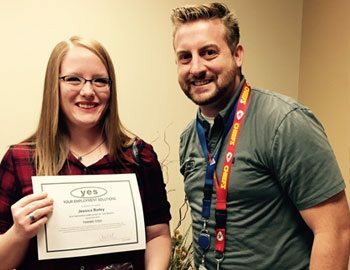 Thanks again Jessica for being a part of the hard-working Ogden, Utah staffing team at Your Employment Solutions! Siang was awarded a thank-you certificate and YES t-shirt for his great work. Thanks again Siang for being a part of the hard-working Salt Lake City, Utah staffing team at Your Employment Solutions!